Bob Kern is a native Hoosier. Born and raised in Indiana, like many boys in the 70’s, he admired those who served in the military. At the age of seventeen, he enlisted in the US Army never dreaming that he would find himself thrust into the middle of the Cold War he had been learning about in history class just months before. Bob was in the US Army for almost 8 years and during those years he was quickly educated about the military life that civilians never see or hear about. Since his honorable discharge in 1988, he has repeatedly thought about sharing his story with others to shed light on a time in history that hasn't gained as much attention despite the importance of the time period to US peace. Bob decided to write and publish the story of his military career so that others may have an inside view of what it was like to be in the military at that time. Due to the overwhelming support and response from other Cold War veterans, the sequel to We Were Soldiers Too is currently being written and will tell other veterans stories. Bob enjoys connecting with US veterans and sharing their stories with others. 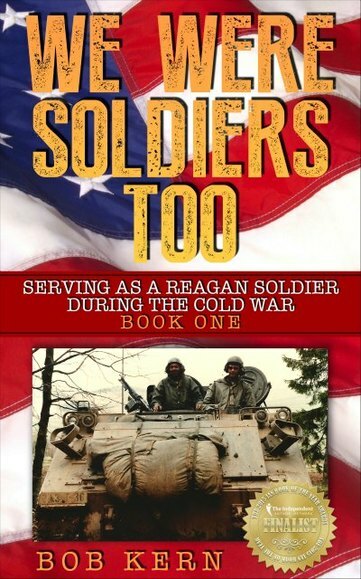 This is a personal account of military service and the historical events that were happening during President Reagan's time in office as the world faced the possibility of nuclear war. The author was in the US Army from November 1980 until March 1988 which coincided with President Reagan's time in office. He quickly went from a naive seventeen-year-old boy to a dedicated die hard soldier ready to sacrifice his life for his country. ˃˃˃ An assignment that likely would have been at Ground Zero of a nuclear war. On the verge of World War 3 and nuclear war, "We Were Soldiers Too" is about the difficult job of serving in the infantry during a very critical time of the Cold War. Serving as the first line of defense for a Soviet invasion in Germany, he found himself assigned the responsibility of defending an area in the Fulda Gap with only one objective, to hold the advancing Soviets until reinforcements arrived. ˃˃˃ Read what other veterans think of "We Were Soldiers Too"
​​Finalist for eBook of the Year General Nonfiction and Finalist for Book of the Year Nonfiction Military History in 2016 and currently a Finalist in Nonfiction History with the Independent Authors Network. #1 Amazon Best Seller Cold War History for 5 WeeksGround zero for a nuclear war was just over an hour northeast of Frankfurt, Germany. The small town of Fulda is nestled at the base of a natural gap in the hilly wooded terrain of West Germany and was a corridor between East and West Germany. Referred to as the Fulda Gap, this corridor was very likely the path the Warsaw forces and the Soviet Union would have taken to invade Europe. The brave men and women who served in West Germany were the first line of defense against the enemy horde that would come through the gap if hostilities ever began. Their mission was to hold that advancing horde for forty-eight hours until reinforcements arrived. None of them were expected to survive an invasion and they all knew it. This was what they had enlisted for, it was their job, and they did it proudly. The Demilitarized Zone (DMZ) separates North and South Korea and is the most defended border in the world.Both sides have dug their heels in and fortified the DMZ with defensive positions, mines and booby traps, missiles, and soldiers as they remain vigilant for the recommencement of a war that never ended. Unlike most wars that end with an official treaty, the Korean War had reached an impasse in 1953 and both sides signed an Armistice Agreement which was nothing more than a truce that remains in effect to this day. Since the signing of the Armistice Agreement, the United Nations has attempted to enforce this treaty that the North Koreans violated almost daily sending spies, marauders, hit squads, and ambush patrols into the southern controlled portion of the DMZ in their never-ending effort to destabilize South Korea and cause its collapse. Their blatant violations of the Armistice Agreement has left a bloody trail of dead bodies that includes many American soldiers. 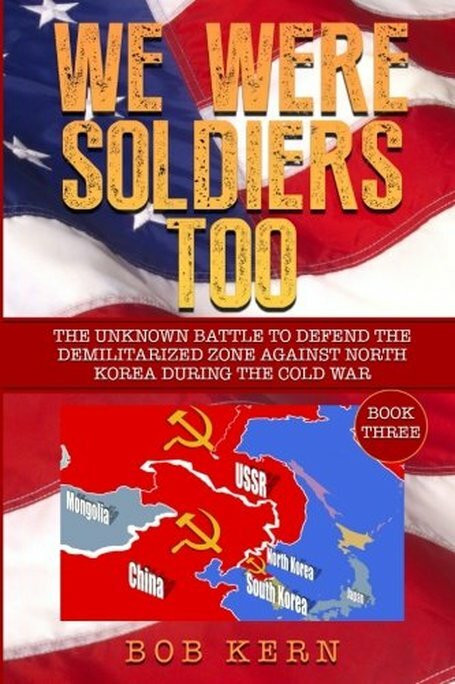 This book takes the reader on a journey through the history of the Cold War and the defense of the DMZ from the perspective of nine American veterans, and eleven tours, who served in different capacities in South Korea from 1962 through 1991. ​“From Stettin in the Baltic to Trieste in the Adriatic, an iron curtain has descended across the continent.” Winston Churchill- March 5, 1946. The “Iron Curtain” he referenced shortly after World War II was the border in Europe that separated the west from the east. It separated freedom from communism and NATO from the Warsaw Pact. A border that quickly became fortified with a fence and a wall. The “Iron Curtain” would come to symbolize a divided world for the duration of the Cold War. West Germany would become the focal point where NATO would prepare for an invasion by the Soviet Union. The Fulda Gap became the likely route the communist horde would take to conquer Europe. This area was referred to as ground zero for World War III. The United States military was tasked with stopping the Soviet attack until reinforcements arrived. A mission with zero chance of survival. Yet, millions of young soldiers met this challenge over the decades of the Cold War. Vigilant and ready to give their lives when the call came. No mission was more important than that of the brave soldiers who served on the border. They were tasked with guarding the border and observing the communist activity around the clock. These valiant soldiers patrolled by foot and jeep a few feet from the Iron Curtain and in full view of their communist counterparts. They regarded themselves as the tripwire responsible for alerting the supporting forces of an invasion. A mere speed bump for any invasion. 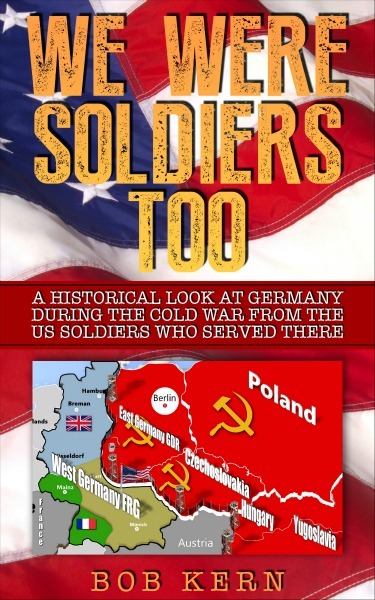 This book provides insight into the Cold War from the unique perspective of the veterans who served on this border. Snipers in the guard towers would fire at them. North Korean patrols would shoot at them from across the MDL. The North Koreans would even cross the MDL to assault a patrol. They then hightailed it back across to avoid return fire. The rules of engagement allowed Dennis to return fire inside the DMZ. He had to cease fire once they crossed back over the MDL. There were provisions that did allow engaging combatants across the border. All that was needed was permission from higher up. By the time it took to get permission, it was too late. The North Koreans knew the firing rules that patrols had to follow. They would use them against our forces every opportunity they could. ​Therein lies the dilemma in North Korea. US and ROK soldiers had to follow strict rules against an enemy that ignored the rules. A patrol comes under fire and takes casualties. Several dead and several wounded friends. The cowardly North Koreans that did this simply put their tail between their legs and ran back across the border. It was over. No retaliation. No pursuit. The Armistice Agreement says neither side could cross the MDL. They did it anyway. All the time. With no consequences. Sure, the UNC would call a MAC meeting. Both sides would travel to the JSA and gather at the “peace” table. Complaints would be made and the North Koreans would deny it. Four to five times a month these meetings were called. North Korea would be accused and they would deny it. It was like a never-ending movie from hell. The storyline changed every day but the ending was always the same. This is exactly why the North Koreans continue to do what they want sixty plus years later. They’re never held accountable.